Yesterday, Apple unveiled two bigger iPhone models, which is apparently getting a lot of people confused about which model to pick when it drops for pre-order. 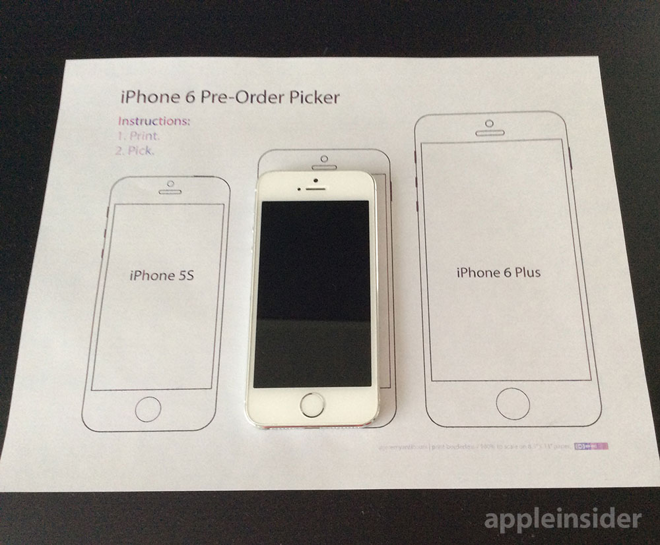 Luckily, we now have a handy printable iPhone 6 / iPhone 6 Plus “pre-order picker” put together by an AppleInsider reader, which may help you decide which iPhone model to pre-order on Friday. This PDF file, when printed on standard 8.5″ x 11″ printer paper at 100% scale, will display the footprint of Apple’s current iPhone 5S alongside that of the larger 4.7″ iPhone 6 and the 5.5″ iPhone 6 Plus (shown above). It is best to print the PDF and then cut out the individual iPhone outlines so you can get a better idea of their size and how they feel in your hands, pockets or purse. 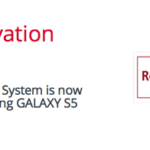 So if you do use this handy pre-order picker, let us know if it helped you decide which model to get.